Get your film career in focus. 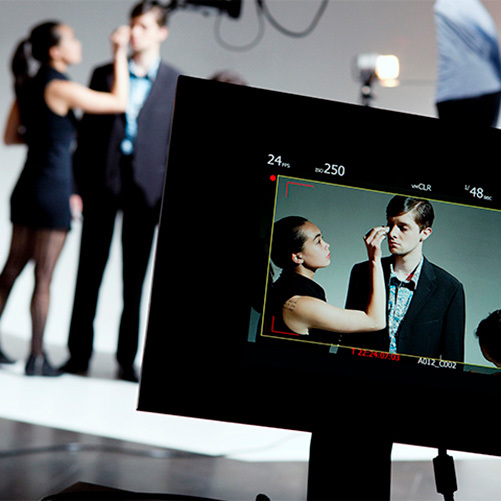 The George Shinn College of Entertainment and the Arts Film Production BFA provides real-world instruction and expertise to the students enrolled in this dynamic program. Our graduate studies MFA in Film and Creative Media offers two unique degrees designed to educate the next generation of artists to be independent, entrepreneurial filmmakers who graduate ready to create uplifting content for the digital entertainment marketplace. Our film faculty are seasoned professionals with extensive credits who have helped train and send numerous students into successful careers in film and television. Let us help you reach your potential as a film maker to bring ideas to life on the big screen. The Master of Arts in Film and Creative Media is a 17-month, 36-hour graduate program designed to educate the next generation of artists to be independent, entrepreneurial filmmakers who graduate ready to create uplifting content for the digital entertainment market. In this program, you will learn how to write, produce, direct and edit various genres of content for multiple media platforms including: music videos, commercials, television sitcoms and dramas, and feature films. The Master of Fine Arts in Film and Creative media is a more intensive degree that allows students the ability to specialize in narrower areas of interest or tracks. The M.F.A. Writer/Director Track is a 62-hour program allowing students to specialize in writing and directing in the areas of TV and film. Also, the M.F.A./MBA for Producers Track is a 75-hour program allowing students specialize in the financial and management side of digital entertainment. Emphasis is placed on molding the creative executive who can develop new story ideas, strategize funding models for content creation and production, and creatively market and distribute their packaged content. Students in this track will also get a degree from the College of Business. Our B.F.A. offers hands-on instruction to the students enrolled in this dynamic program. Students spend their last semester in Los Angeles at the LA Film Studies Center and have the opportunity to attend one major film festival like Sundance, every year. The winner of the department’s film festival is automatically entered into an Oscar qualifying film festival. As an undergraduate student, you will enjoy unparalleled access to industry professionals and opportunities for a sustainable career in the industry. For film students wanting to know all there is to know about the industry, the Cannes Film Festival provides a living classroom. Each year Lipscomb graduate film students along with faculty Steve Taylor and Dave DeBorde travel to Cannes, France to learn about the business of the film industry.